Come see us for Miracle Midweek for a $99 Mini-Meet 3D/4D package (regularly priced at $130 and gender determination included if desired)! This offer is good for Mondays, Tuesdays, and Wednesdays at our office only. Appointments are necessary and availability is limited. We give our military families 10% off any package. Watch your miracle grow with our return discounts! 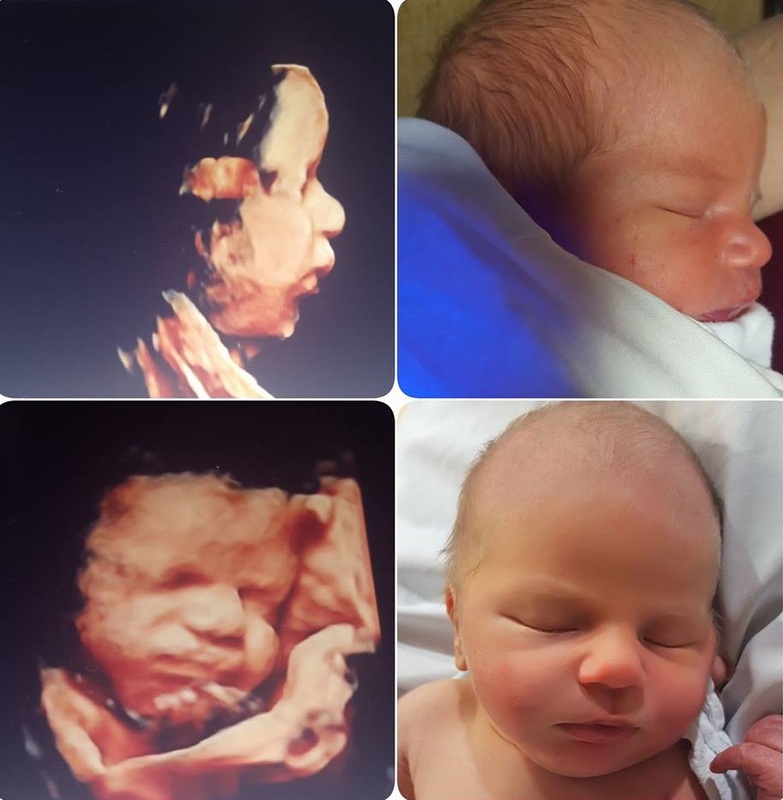 Get $25 of Miracle Money towards any 3D ultrasound for your second visit at Meet Your Miracle during the same pregnancy, and get $40 of Miracle Money towards any 3D ultrasound after that. You also get 10% of any 2D session for the rest of your pregnancy after your first visit. 1 4×6 print of the heartbeat waveform. 1 Outline image of the heartbeat waveform. $20 each when scheduling 2 or more heartbeat captures. Able to capture babies in utero, children, and adults! 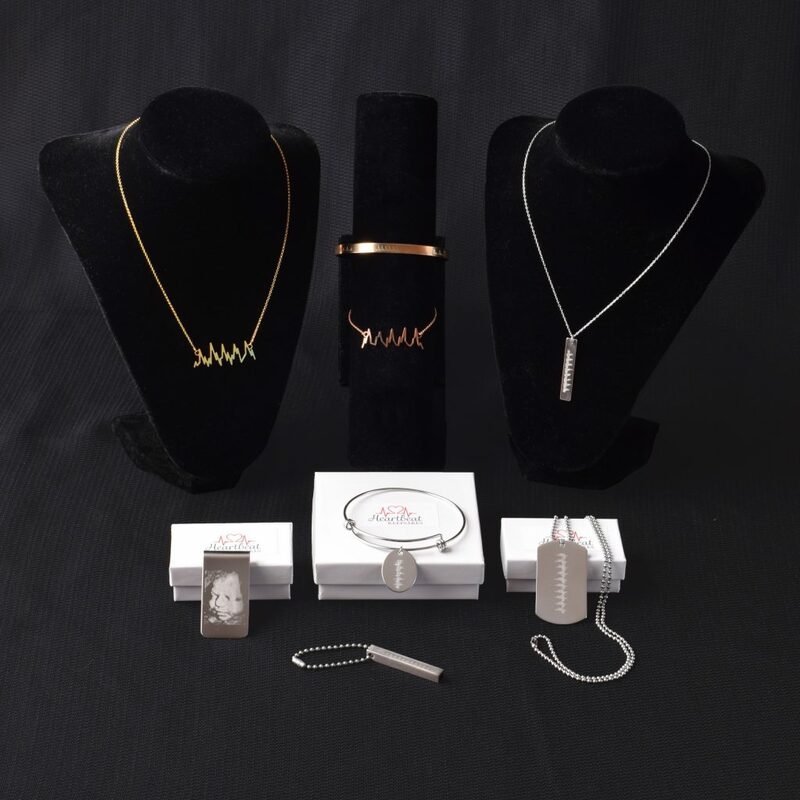 Heartbeat capture FREE with purchase of Heartbeat Keepsake Jewelry. 10 minute 2D scan performed any time after 9 weeks. Listen to baby’s heart after 12 weeks. 10-20 minute 2D gender ultrasound performed any time after 15 weeks. Download link of 5 or more black and white sonogram images. Performed by a licensed phlebotomist. Standard results in 3 to 5 business days. Listen to baby’s heart after 12 weeks with SneakPeek Premium. Half off a 2D gender confirmation ultrasound later on in pregnancy if purchased at time of SneakPeek $40. SneakPeek confirmations can be scheduled on a Friday, Saturday, or Sunday. Offered Tuesday evenings at 6pm. 10-20 minute 3D/4D/HD scan performed any time after 12 weeks. Download link of 10 or more 3D/HD images. Gender reveal (if desired) after 15 weeks. 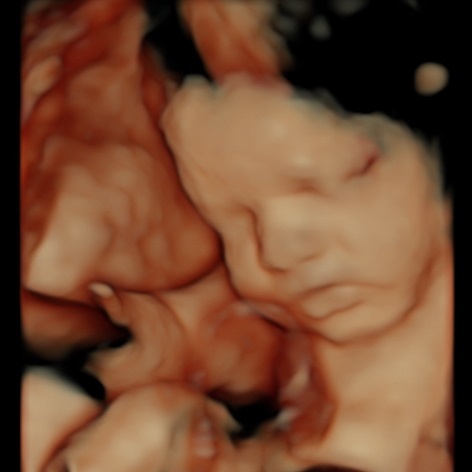 20-30 minute 3D/4D/HD scan performed any time after 12 weeks. Download link of 15 or more 3D/HD images. 1 8×10 and 2 4×6 prints or 4 4×6 prints. Flash drive of all video images from session. 1 8×10 and 4 4×6 prints or 6 4×6 prints. Choice between DVD of ultrasound images and video clips set to music or flash drive of all video images from session. Choice of custom Heartbeat Keepsake Jewelry. Come back again, and again, and again to watch your baby grow! 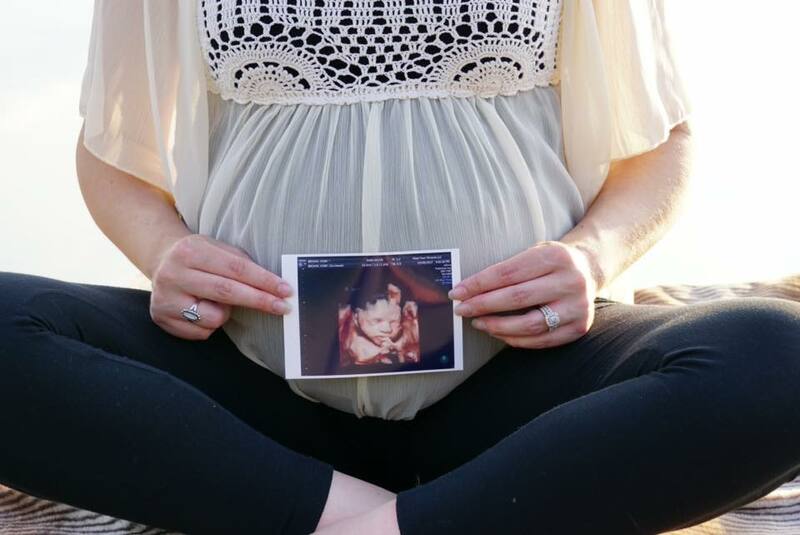 3 “Mini-meet” 3D/4D/HD sonogram sessions at anytime during your pregnancy starting at 12 weeks. DVD including ultrasound images and video clips from all three sessions edited and set to music after your final appointment! Let us help you with your gender reveal party! Heartbeat Surprise Packaging for your Gender Reveal Party! 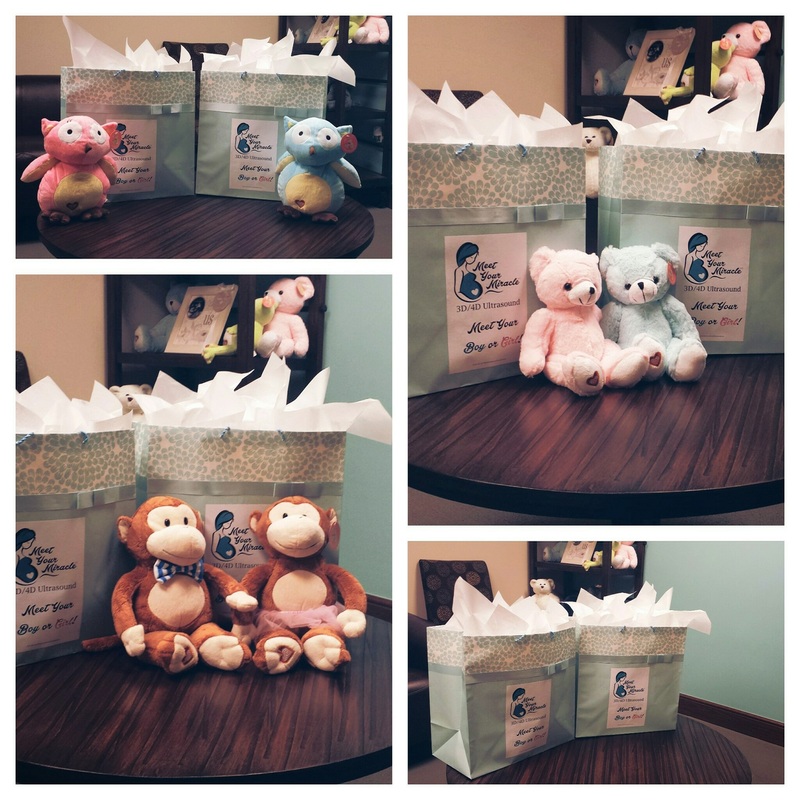 Check out all of our gender reveal options at our Gender Reveal Corner! Gender Reveal Items- $10 to $39. More information and full pricing can be found here. Custom heartbeat keepsake jewelry starting at $55. More information and full pricing can be found here. Put your baby’s heartbeat on a beautiful piece of keepsake jewelry!